The construction of roads, airports and infrastructure can help wrestle down the global economic crisis, the Kazakh president said. 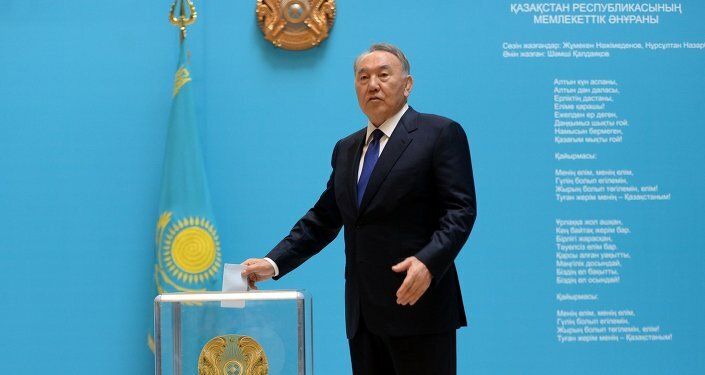 ASTANA (Sputnik) – Incumbent Kazakh President Nursultan Nazarbayev on Monday said the country avoided any domestic economic crisis, there was only a global economic crisis. “The crisis is global, there is no domestic crisis in Kazakhstan. The response to the crisis is the construction of thousands of kilometers of roads, airports and infrastructure buildings,” Nazarbayev said. The Eurasian Economic Union is a needed project regardless of the decline in goods turnover, and Turkey has shown interest in joining the union, iNazarbayev added. He added that the leader of Turkey, who had just recently visited Kazakhstan, was also interested. The Eurasian Economic Union, which includes Russia, Armenia, Belarus and Kazakhstan, came into force on January 1. Kyrgyzstan's membership is expected to come into force in May. The union aims at ensuring economic integration among member states, including the free flow of goods, services, capital and labor.